Marco Asensio has made it clear that he never thought about leaving Real Madrid - Chelsea and Liverpool are the two clubs who wanted to sign the 22-year-old star. 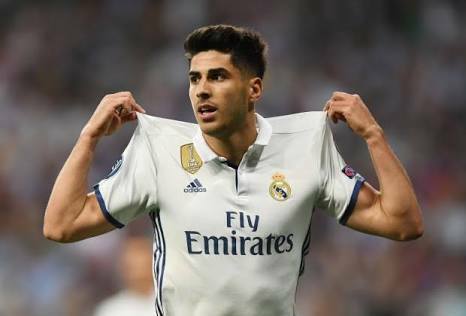 The Spain international says he is happy and wants to stay at the Bernabeu Spain international Marco Asensio has explained that he never wanted to leave Spanish side Real Madrid during the last summer transfer after being linked with a move to Liverpool. Marco Asensio has already won eight trophies since joining Madrid from Mallorca in 2016, including La Liga and two Champions League crowns. But there were reports that the 22-year-old was considering leaving Real Madrid before the start of the current La Liga season. Asensio has now made it clear after scoring his first goal for Spain against Croatia on Tuesday night that he never had any thought of leaving the Galácticos. "I've never had the intention to go anywhere. "This is my third season in Madrid. In this one I think I have continuity and more prominence, and I'm seeing improvement in the performances I'm doing," Asensio said according to UK Mirror.